Discussions with creative figures in film, television, and digital media, made possible with a generous grant from the Pannonia Foundation. The 1977 miniseries Roots was one of the most influential and highest rated television events of all time; the final episode had an audience of more than 100 million. Thirty-five years later, Roots still resonates within popular culture, having changed forever the way that African-Americans were depicted on television, and having a strong impact on the nationâ€™s collective guilt about slavery. 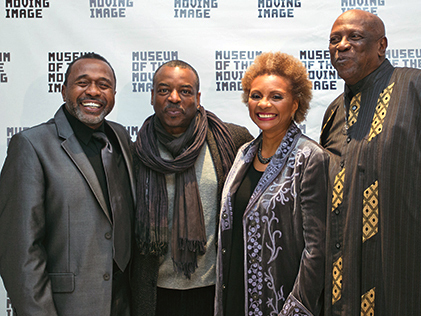 In this unforgettable evening at Museum of the Moving Image, four stars of the series, Ben Vereen, Lou Gossett, Jr., LeVar Burton, and Leslie Uggams, participated in a discussion about the showâ€™s production and its long-lasting legacy, moderated by Donald Thoms, Vice President of Programming, PBS. The program was presented in collaboration with the PBS series Pioneers of Television,/i>.